A warm welcome to you for visiting our website and we are so happy to see you. Come and find out all about the fishing family of Global. 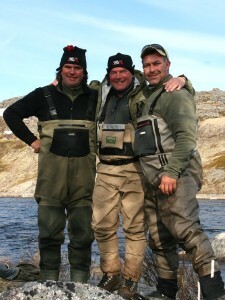 We have travelled extensively to best fly fishing destinations in the world for well over 20 years. Many of our clients, who we like to think of as family, have been travelling with us for a great many years. What makes Global so popular with our family of Global travellers is that we always host your trips, and ensure we make every effort to ensure you have the angling experience of a lifetime. It’s always reassuring to know when you are travelling with us that you’re in safe hands, and your Global destination is one that is tried and tested by us and one we are happy to offer as an iconic fishing destination. From your first phone call to us, and on until to you finish your exciting fishing adventure with us and journey home with a big smile; you have been in contact with the same dedicated customer service team at Global. Personal service is our strength and that is what defines us from many larger operators. We always say biggest is not always best, but we know through many years of operating that customer service is the foundation to a loyal customer base. With Global you are treated like a family member, and like all families, we are always better united and working harmoniously to ensure your safety, peace of mind and sharing great experiences and honest values.